What does “own the outcome” mean? 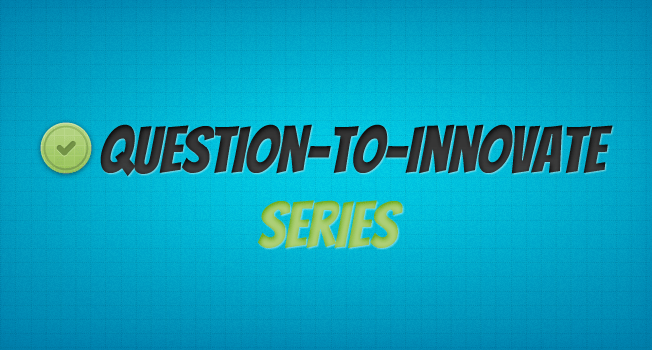 This is the fourth of a series of weekly posts where I will answer a few common questions about innovation. Please feel free to add your own response. Also, if you have any questions you think we should discuss, let me know. This week I wrote about how you have to own it before you can do it. That includes anything. Not just innovation. What does “owning it” mean? Here’s an example. Lets suppose that you are a design agency, and a client asks you to design a stand for them because they have an upcoming trade show or event. If you are the agency, and want to truly “own it”, the key question you have to ask yourself is: what is the outcome that our client wants and how can we help him do that? And then knowing what they want, how can we make it even better? From my point of view, the client shouldn’t hear, “ok, send us the details and we’ll send you a design in a few days”. Does simply delivering a design mean that you own the outcome? Nope. Then what does? It means that you will either go to the site yourself to measure the space, or will find a way to do so. It means you want to go the site and inspect it, look at what your client will be looking at, looking at the layout of the event, asking what other companies will be around your client’s space. It means being aware of all the itsy-bitsy details that your client might overlook. You want to help your client “blow minds away”. And as good as your stand design might be, it doesn’t take context into account. As a recent HBR article pointed out: Working tirelessly to wow customers is still the best strategy for success. That means you have to take responsibility for the outcome. It means you hold yourself accountable for over-delivering on a consistent basis. The point: For me “owning the outcome” means owning the details and over delivering. It means making your customer or client feel that you got their back, and that you will take care of everything. Your turn, what does “owning the outcome” mean to you?